A full grain vintage leather belt featuring an antique roller buckle. 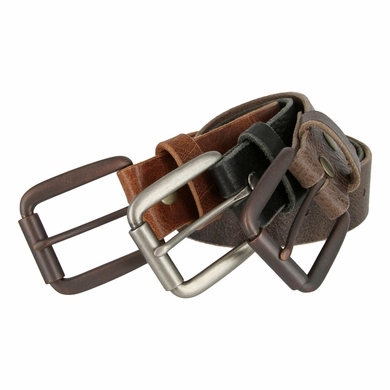 Black belts feature a nickel plated buckle, brown and tan belts feature antique copper finish buckles. 1-1/2" wide.